Healthy low carb keto mug cake recipe. With the delicious tang of Meyer lemons. Breakfast or dessert, it’s your choice! 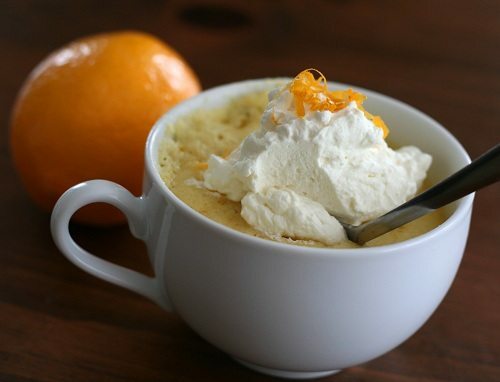 Mug cake might just be the best invention ever, especially when it’s low carb and gluten free, and bursting with Meyer Lemon flavour. Forget the wheel, forget modern medicine, forget the internet. Mug cake has it all over those history-changing, life-saving inventions. Because let’s face it…it’s cake, it tastes good, and it takes all of about 3 minutes to make. And that includes all the prep and cooking time. And if you are really hungry, it might include the eating time too! But I am going to be mean again and make you work for this recipe, if you think that clicking another link is work. Yep, this is another guest post, this time for Rachel of Rachel Cooks. I don’t mean to be constantly doing guest posts, it’s just that I am a nice girl and like to help out a friend in need. And if you’ve ever had a newborn in your house, you will understand why dear Rachel was in need. She just had her second baby and has her hands full of infant and toddler and diapers and all the myriad things that come along with having a new baby on hand. And she’s managing to keep her blog running along, which is no mean feat, I can assure you. Food prep, photos, writing and dishes, all while juggling le bebe and le toddler. Phew, it makes me tired just thinking about it. So when she put out the APB for guest bloggers, I happily said yes. Because I’ve been there, with little babies and all their needs. And, quite frankly, I don’t ever want to go back there again! They’re cute and they smell good, but I am at the point in my life where I want to hold them and smell them until I am tired of holding them and smelling, and then hand them back to their parents. But if helping a new second-time mom out means cooking up something delicious, sign me up. 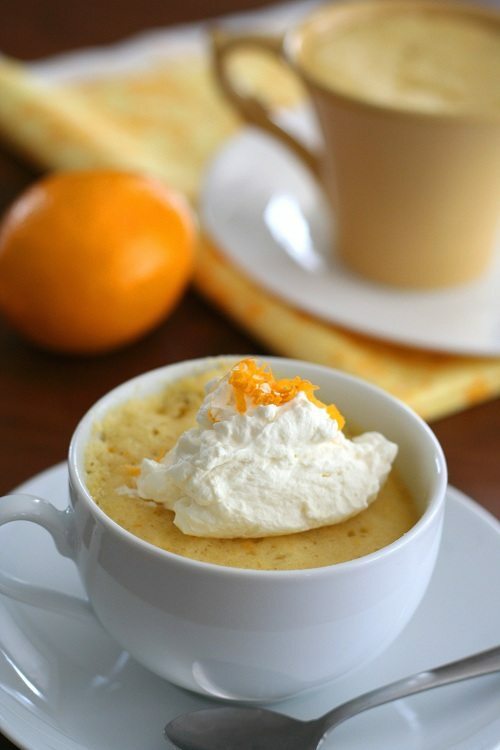 This low carb Meyer Lemon Mug Cake makes a great dessert. But the lovely, bright note of the meyer lemons means it makes a great breakfast as well. Or a snack. Or if you feel like skipping lunch and having it for tea, I heartily concur. After all, it only takes about 3 minutes to make! 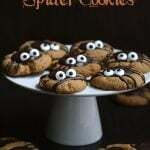 Please check out the recipe on Rachel Cooks. Serves 2. Each serving has 9.5 g of carbs and 3.5 g of fiber. Total NET CARBS = 6 g.
Great recipe – just checked it out over at Rachel Cooks. Do you have any idea if this would also work in a regular oven? I’m guessing roughly 20 minutes at 350 should do the trick, but wondered if you had ever tried this? (I know, it defeats the purpose of the mug cake, but my microwave is unwell and I want to try this recipe out pronto, before I go out and buy a new mirco). Thanks! I think it would work fine in oven-safe mugs, and I’d actually go for less time and then add as you need. Maybe 12 minutes, then check and add 3 to 4 minutes at a go. You want the center to still be just a little “wet and gooey”…it firms up as it sits. Joanna – if you try it in the oven, please let me know. We’re microwaveless at themoment too. cake that takes all of about 3 minutes to make! what’s not to love about that! Carolyn, I just want to comment on your support to your friend….. Awesome! And it is all sooo true! Way to go! I never had an Easy-Bake Oven, so I would make mug cakes in the microwave as a child. I’m pretty sure none of them turned out like this! What an awesome mug cake flavor! 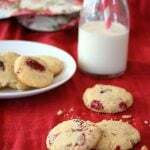 I’m new to sugar alternative baking, so I was wondering if you could substitute xylitol (I have it in the pantry) for erythritol? This looks so good, would love to try it this weekend. Thanks! Yup, xylitol would be just fine! Three minutes to cake?! I’m in. This looks so good! I love all things lemon. Might have to try this for a treat later today. I’ve never tried sugar alternatives in baking but would love to try as I’m trying to cut down on sugar intake. I don’t eat eggs so I’ll have to try and sub those. Thanks for sharing! I am sure vegan egg replacer will work! I have been forbidden (by my Dr.) from eating egg yolks (allergic). I am permitted egg whites (blah). 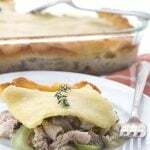 Do you think that using just the white (2 for 1) would detract very much from this recipe? I’m not quite sure what eggzactly the yolk offers in a baked recipe that would be missing without it. I certainly know what a fried egg or omelette would be missing (sigh). Actually, I think 2 egg whites would work just fine for this. I recently made a coconut cake and to keep it more white, I did just egg whites. It holds together just fine in baked goods. Thank you, Carolyn. Now… if only I could find some Meyer Lemons. I had them a couple of months ago but, now that I need them, I’m only seeing the regular lemons. Life! Love this!! And a Mama with a baby can always use (1) help & (2) a quick cake!! I LOVE CAKE! I LOVE MEYER LEMONS! I HAVE ALL OF THE INGREDIENTS FOR THIS RECIPE! I WILL BE EATING THIS IN LESS THAN 15 MINUTES FROM NOW!!!! I’M YELLING BECAUSE I’M SO EXCITED!!!!!! hahahahaha! At least you know you are “yelling” when everything is in caps. A surprising amount of people don’t know this! Enjoy it! This sounds fantastic! 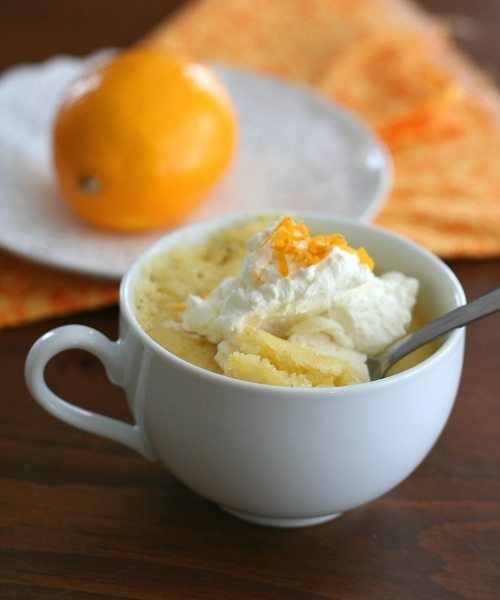 I have only ever done chocolate mug cakes, but I so love lemon cake! 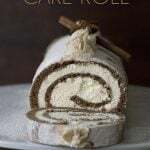 I doubled this and made it in a 9 inch cake pan in the oven and frosted it with some lemon butter cream – TO DIE FOR!! LOVE this…lemon and 3 minutes, that I’ve got! I made this yesterday, and although it was good, I didn’t love it. I have to admit that I didn’t have meyer lemon, used a regular one, and I had almond meal not flour. I also found that 1 tsp of baking powder was to much, it gave it a salty flavor to both hubs and I. I will try this again with the right ingredients and cut back on the baking powder. Thanks Carolyn for all the great recipes. Drooling!!! These look amazing and I just happen to have a few Meyer Lemons sitting around. I think I will give it a go tonight for dessert. Thanks!! What a great, easy recipe! Nothing better than satisfying a sweet tooth in just a few quick minutes. Made it a second time today. I actually left the lemon and zest out, added an extra tbsp of butter to replace the liquid, and I left out the salt (and used Splenda instead of erythritol). It came out very much like a traditional yellow cake that would be great for cupcakes. These muffins are absolutely fantastic! I’ve only had them four times in the past week! I’m learning to eat the Trim Healthy Mama way . . . and these come in as a perfect breakfast, lunch or snack when I’ve got a sweet craving. Thanks so much for sharing! And your photography is beautiful! I FINALLY made this, it was very good. I haven’t had much luck with low carb mug cakes in the past but this was definitely a winner. 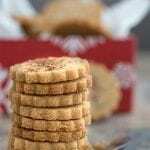 The Honeyville almond flour really made the difference and I’m glad I finally gave in and ordered the 5lb bag – I’ve never been able to get this kind of “cakieness” with other almond flours I’ve tried in the past. Oh I only made 2 small tweaks – Coconut oil instead of butter, and a regular lemon (all I had on hand). Erythritol/Tagatose for the sweetener. Thank you for all your hard work in the kitchen, those of us that are baking deficient really appreciate your efforts. OMG!! Divine! and I have Meyer lemon tree. Thanks! Delicious! It does seem to be better warm, so I waited until the last minute to microwave them for guests. So easy, and so tasty. 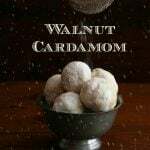 This was a great change for a low carb dessert. I love lemon bars so I was really excited to try this. Glad I did! The only problem I had was I ate both servings 🙂 Will make again soon. Thanks! portion control helps as well. I would take lemon over chocolate any day. I cut the cooking time by a little, I think microwaves are different…and threw some raspberries on top of the whipped cream. Not feeling deprived anymore! I’ve made many of your recipes over the past few weeks and enjoyed them immensely. However, this one came out really mealy for me. I’m thinking that my almond meal/flour might have been too grainy, even though I put it through the food processor before using at the suggestion of others. Any ideas? Yes, I suspect it is the almond meal. If you can get some finely ground Honeyville, it would be much better. I finally got around to making this yesterday after pinning it a year ago. Why did I wait so long?! 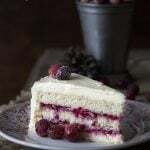 Here’s my opinion: This is pretty good freshly made and warm, but really good chilled, and when topped with some cream cheese frosting, it’s the best low-carb cake I’ve had yet! The texture is moist and heavy, like a carrot cake, but the flavor is light and tangy. (For frosting mix cream cheese with low-carb sweetened condensed milk and lemon juice, or thin cream cheese with cream and add sweetener and lemon juice to taste. It tastes like Esther’s Orange Marmalade Cake (from the Mitford books.) 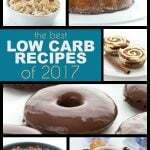 Carolyn, I have recipe for that which I’d love to see converted into low carb. This would be an excellent start. Are you game? I am always game for making over recipes. No promises on WHEN, because I have a long list of request, but send it my way! It’s so good! I put a layer of cream cheese/marmalade filling between the layers as I find the marmalade alone gets lost in there. I have a 6-serving silicone muffin pan. If I tripled this recipe and baked it in the muffin pan, do you have any idea how long I should bake it in the microwave? Or would it be better to bake it in the oven in that case? Not sure about the microwave but it would definitely take longer. I’d do it for 1:30 and then keep cooking it at 30 second intervals after that. For the oven, bake at 325F for at least 10 minutes, then keep checking every few minutes after that. I am super picky about alternative sugars and was hesitant to try this. I did substitute unsweetened apple sauce for the butter and used a normal juicy lemon (didn’t have a Meyer one on hand). I am SHOCKED at how good this is. I ate it topped with fresh blueberries and LOVED it. Thank you Thank you Thank you!!! So glad it worked with your changes! Really liked it but I had to use a regular lemon since my store had no Meyer, and I think it could have used more sweetener because of it. But that’s an easy fix. Thanks for the keeper recipe! I’ve tried this one out a couple of times and it’s a hit! Thanks for turning me on to Meyer lemons! A dessert. Thanks for this easy and yummy dessert.